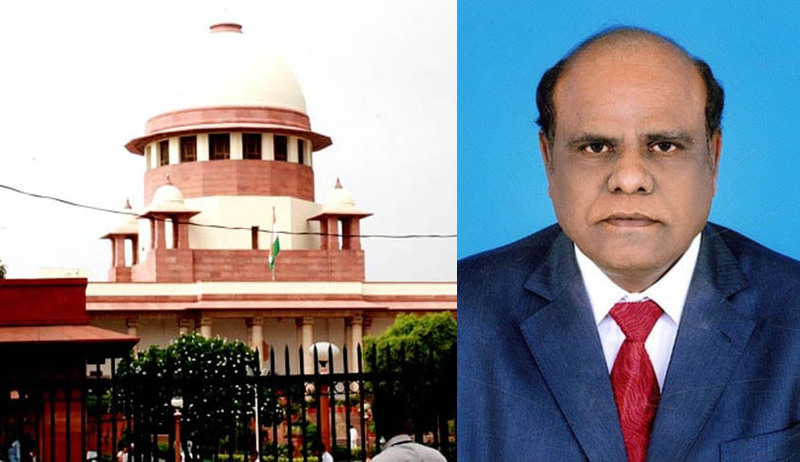 Justice Karnan who has been convicted and sentenced by Supreme Court of India for contempt of Court will move the Court seeking the recall of 9th May order of Supreme Court, says Advocate Mathew Nedumpara. Speaking to LiveLaw, Advocate Mathew Nedumpara said he got the vakalath from Justice Karnan and Justice Karnan authorized him to move Supreme Court to recall the order. “Justice Karnan will be instituting a Petition under article 32 of the Constitution of India in challenge of the contempt of court Act; so too an Application seeking a recall of the order by which he was convicted and sentenced to six months imprisonment even without a charge being framed whilst the SC had no jurisdiction to invoke the Contempt of Courts Act. Copy of the Writ Petition, so too that of the recall application will be emailed by advocate Philip. I wish to add that the news reports that Justice Karnan is hiding to evade arrest, is misleading. Justice Karnan is entitled to protection of the Constitution of India and the laws of the land. He is invoking the remedies open to him in law by instituting petitions as aforesaid. I state so as his lawyer. Am aboard the 8.15am Spice Jet flight to Delhi from Chennai. The petitions as aforesaid supported by the affidavit of Justice Karnan sworn before a notary in Chennai yesterday will be instituted in the SC today”. But another lawyer,who is a friend of Justice Karnan, Peter Ramesh Kumar claimed that Justice Karnan has not authorised Advocate Nedumpara to file petition in Supreme Court.